Welcome to Reville Collectables, Antiques Salvage & Collectables. Based 1 mile from of Wellingtonbridge in County Wexford, Ballinlea contains a real treasure chest for all antique enthusiasts that is definitely worth a trip to the Sunny South East. 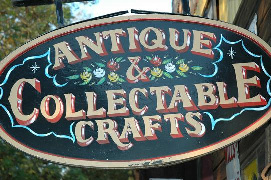 We buy and sell antiques, bric a brac and lots more items that interest a very wide range of collectors and people in general. From militray items, carts, pub decor, irish crafts and collectables, we have something to suit everyone so why not come and visit us! We take anything of value, irish crafts, Military items, brick a brac, juke boxes, slot machines, toys, books, pub decor, quality small furniture, general items of irish interest. Whether you are clearing out your house, attic or shed, give us a call. Old craft tools and tiems made by Irish craftsmen. Old and new books of Irish interest. Irish stamps, coins and other collectables. Selection of early Irish bottles. Horse drawn items, carts, ploughs etc. Unusual garden pieces, standing stones. Tons of antique hand-cut and hand-picked stone for building etc. Pieces of Irish bog oak. Stoves, wood burners and accessories. Horse roller (suitable for gardens or house name). Old animal trough (suitable for flowers etc). Large selection of forge made gates various sizes. Large selection of old wheels carts, cars, trucks. Some of the small items are suitable for airplane carraige. Reville Collectables Copyright © 2015.